Photo: Atlantis ResourcesAn AR1000 tidal turbine developed by Atlantis Resources. Some of the fastest-moving tides in the world could meet half of Scotland’s power needs. A new study finds that an island channel called the Pentland Firth has the potential to realistically generate 1.9 gigawatts of power—nearly double the amount noted in previous estimates. Tidal power would go a long way toward helping Scotland achieve its goal of using renewable energy sources to generate 100 percent of its electricity demand equivalent by 2020. The new research by engineers at the Universities of Oxford and Edinburgh helped pinpoint locations for tidal turbines strung out across the entire width of the waterway off Scotland’s northern coast. The new study improved on past estimates that were nothing if not imprecise. Older studies suggested that the channel’s tidal power could generate anywhere between 1 gigawatt and 18 gigawatts of electric power. The Oxford and Edinburgh researchers narrowed the range significantly; the waters, they said in the release, move with energy equivalent to 4.2 gigawatts—a figure they narrowed down to 1.9 gigawatts because the tidal turbines designed to harness it are not 100 percent efficient. Such power generation capacity would translate to about 16 000 gigawatt-hours per year, according to BBC News. By comparison, Scotland’s 2011 power consumption was about 37 000 GWh. Scotland has been described as the “Saudi Arabia of renewable energy potential” because of such calculations. Pentland Firth has huge energy potential by itself because of tidal currents racing along at speeds of up to 30 kilometers per hour. 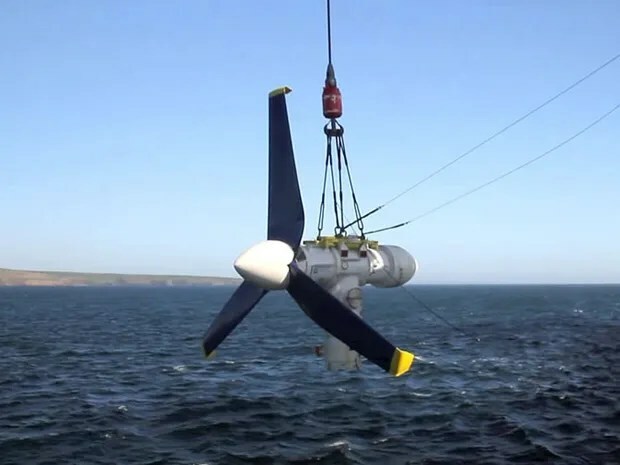 The Scottish government has already approved development of a tidal turbine energy project in the Pentland Firth by Atlantis Resources (formerly MeyGen). Tidal turbines don’t represent the only technology at play in the waters off the United Kingdom. Underwater kites being tested off the coast of Northern Ireland aim to capture energy from low-velocity currents—those with speeds less than 2.5 meters per second—that most tidal turbines can’t harness. Many challenges lie ahead for deploying tidal and wave power. But the Scottish government is sponsoring the Saltire Prize that promises to award US $15.8 million in 2017 to the energy company whose wave or tidal energy generator harnesses greatest amount of electrical energy (with a 100-GWh minimum) over a continuous two year period.